Howard Riezman received a Bachelors of Arts degree (1975) from Washington University in Saint Louis where he began his research career working on the lac operon from E. coli. He moved to the University of Wisconsin-Madison under the supervision of Wayne M. Becker where he completed his PhD in Botany (1980) working on the biogenesis of glyoxysomal enzymes. He crossed the Atlantic to work as a postdoctoral fellow (Jane Coffin Childs Fellow) with Gottfried (Jeff) Schatz as a mentor on the biogenesis of mitochondria at the Biozentrum of the University of Basel. In 1983 he started his independent laboratory at the ISREC in Lausanne initiating studies on the endocytic pathway in yeast. He moved back to the Biozentrum as Full Professor (1988) where he continued his work on endocytosis and began studying GPI-anchored protein biosynthesis and traffic. In 2002 he moved to the Biochemistry department of the University of Geneva. He continues working on membrane trafficking, but has changed the emphasis of his research to the understanding of the metabolism and function of membrane lipids. His group is interested in the biogenesis, trafficking, properties, and physiological roles of biological membranes, with a focus on the membrane lipids. His research team uses tools of chemistry, biochemistry, molecular biology, genetics and mass spectrometry to analyze membranes in a systematic manner to study a wide range of experimental systems including yeast, worms, and mammalian tissue culture cells. Howard Riezman was elected member of EMBO in 1997 and has served as department chairman in both Basel and Geneva. He has served on the Research Council of the Swiss National Science Foundation (SNSF) for 8 years and is currently a member of the Foundation Council of the SNSF. His work has received generous funding from the SNSF since 1983, as well as from the HFSPO, EU and ESF. 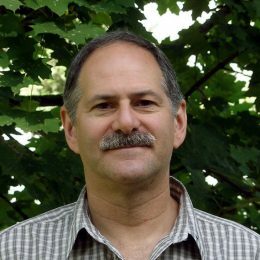 Howard Riezman is Director of the NCCR Chemical Biology. He is also a member of the NCCR steering committee and of the educational committee for the Master’s in Chemical Biology. Read more about Howard Riezman’s research on his lab website. Prifti E., Reymond L., Umebayashi M., Hovius R., Riezman H., Johnsson K., “A fluorogenic probe for SNAP-tagged plasma membrane proteins based on the solvatochromic molecule Nile Red”. ACS chemical biology, 9, 606 (2014).